From ancient Roman abodes to pioneer cabins on the prairie, oil lamps have illuminated many a dark night. Hurricane lamps now come in two types -- for outdoor and indoor use. 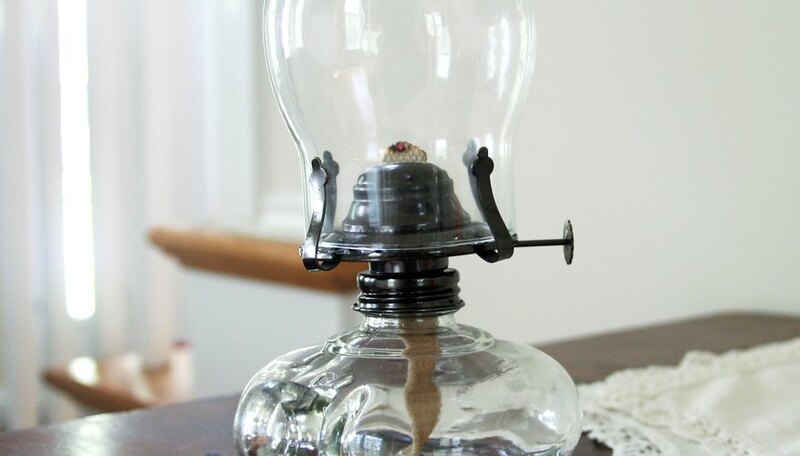 Outdoor-use hurricane lamps have a metal base and top fitted with a glass chimney between them and a wick inside that raises or lowers by a control knob. Indoor-use hurricane lamps feature a glass chimney that easily detaches for cleaning, over a metal control unit and decorated ceramic base with a handle attached. 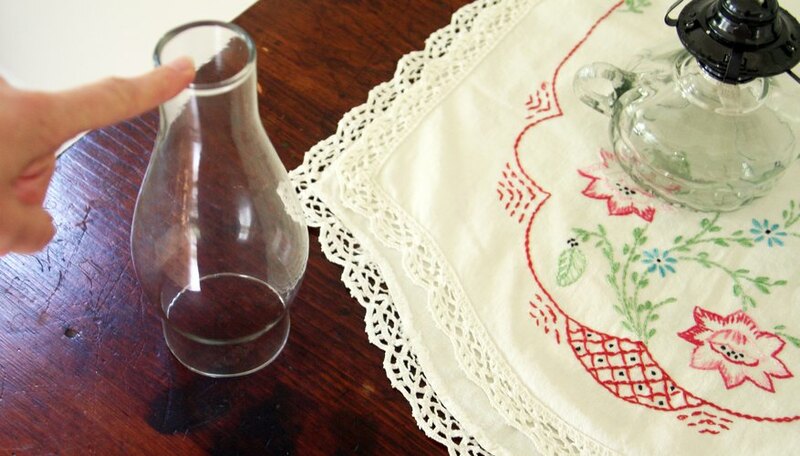 While it doesn't take much to learn how to use and care for a hurricane lamp, you do need to apply common sense and safety when lighting and using them. 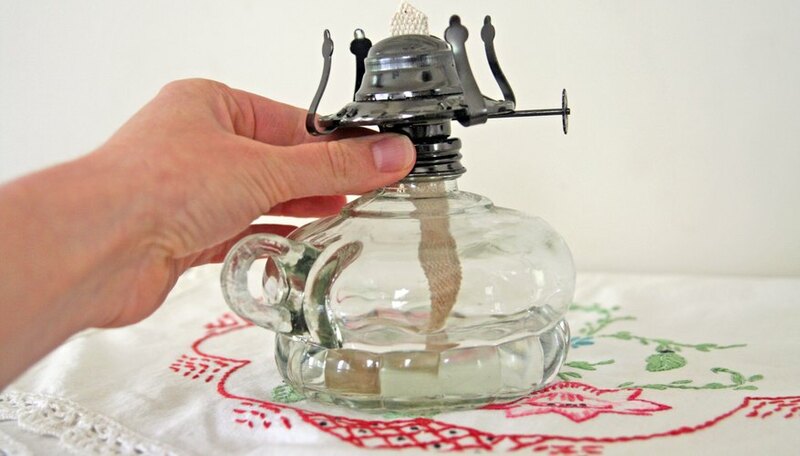 Lift the glass chimney from the unit and stand it up on a work table where it won't get knocked over, if you have a this type of hurricane lantern. If you have the hurricane lantern used for outdoor camping with wire around the glass chimney, a metal base and an arm to hang it, skip to the next step. Gently unscrew the metal cap that covers the base container that also holds the wick, turning it counterclockwise. Do not apply too much pressure, as the pieces that hold the chimney in place can bend easily. Set the control cap and wick holder aside. 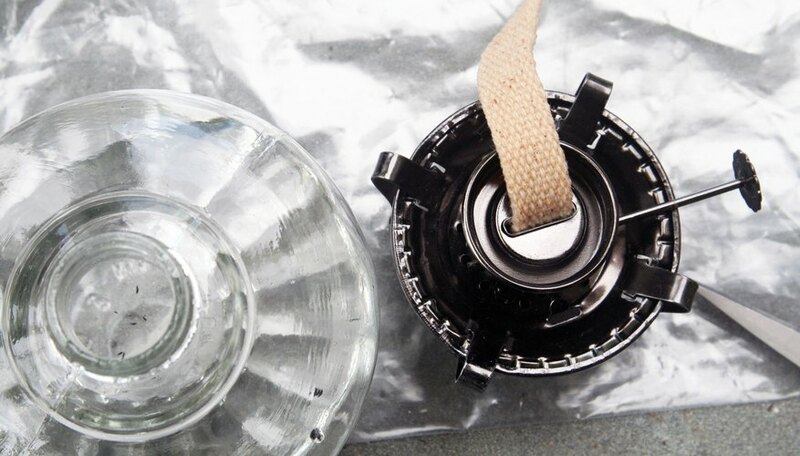 For the camping or ship hurricane lantern, simply unscrew the base container's cap and set it aside. 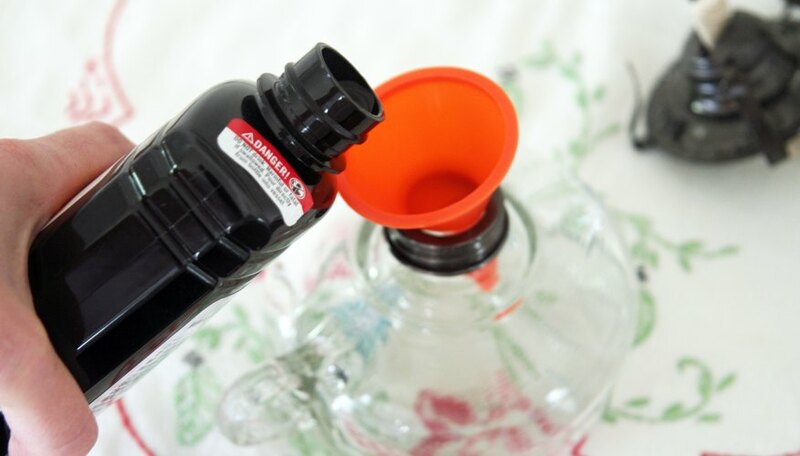 Open the kerosene or lamp-oil container, and pour the fuel into the lamp's base container. Don't fill it all the way to the top, because once you thread the wick through control element, the bottom of the wick sits in the oil, displacing it even more. For outdoor hurricane lanterns, fill the base to the fill-line mark. Screw the cap or wick element back onto the base unit. 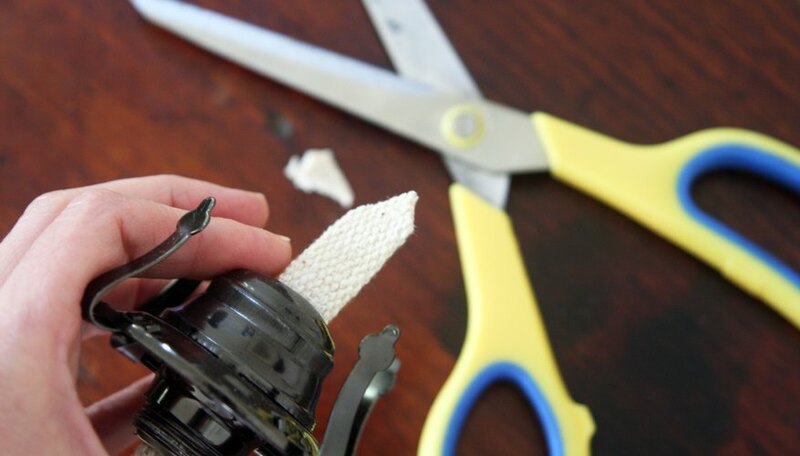 Cut the end of a new wick from both sides, so that it comes to a tip, by making a 45-degree cut on each side. Trim the tip flat about 1/4 inch wide, or leave it as a point, if desired. Thread the bottom of the wick into the wick control element and turn the knob counterclockwise to lower it into the base. 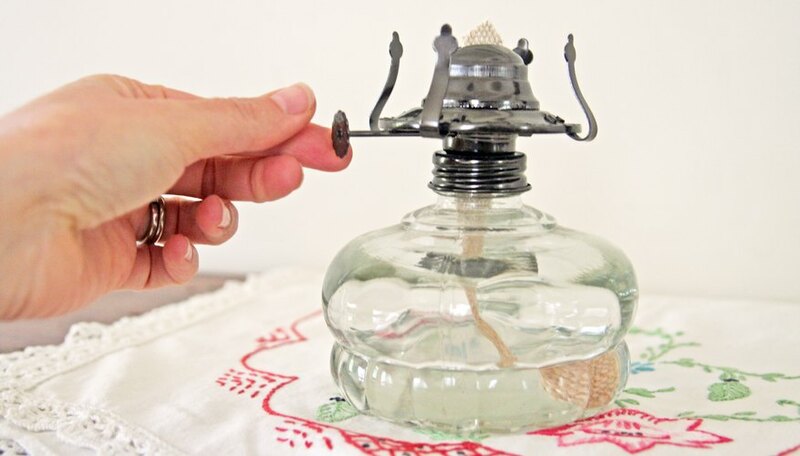 Adjust the wick's height so that only the angled sides and tip protrude from the lamp's top. 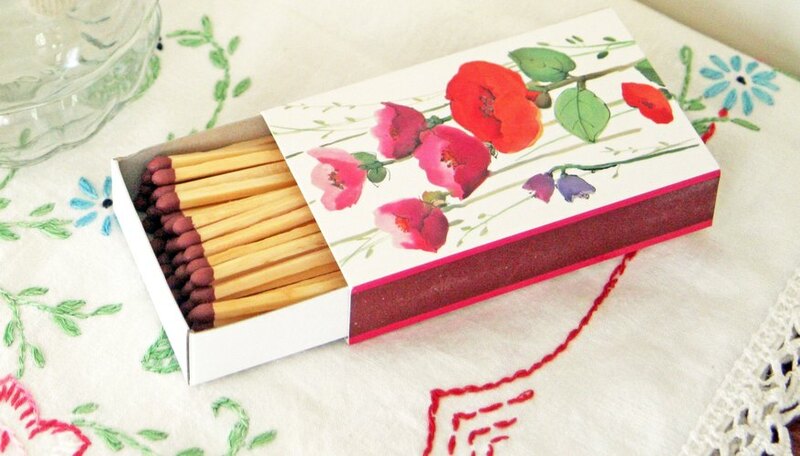 Light the wick with a long wooden matchstick or candle lighter after the wick has soaked up enough oil. For outdoor hurricane lanterns, press down on the metal flange that lifts the globe for lighting, and hold it while you light the lantern. Place the glass chimney back onto the wick control element after the wick starts to burn. 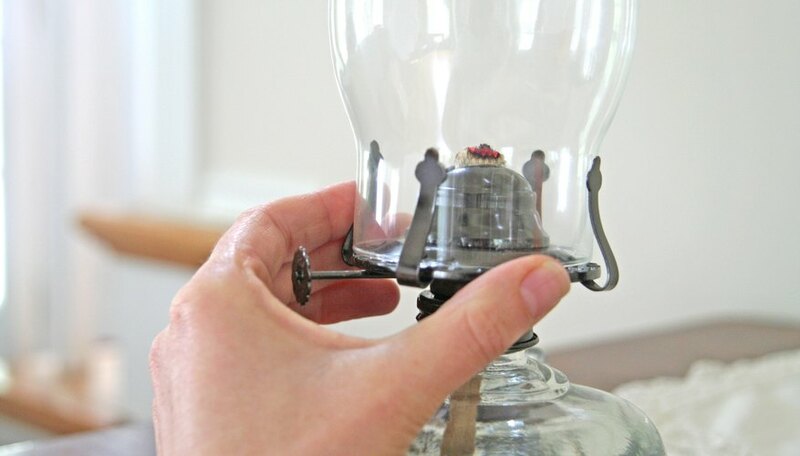 Insert the globe inside the three "fingers" that extend vertically from the wick control element on indoor hurricane lamps. 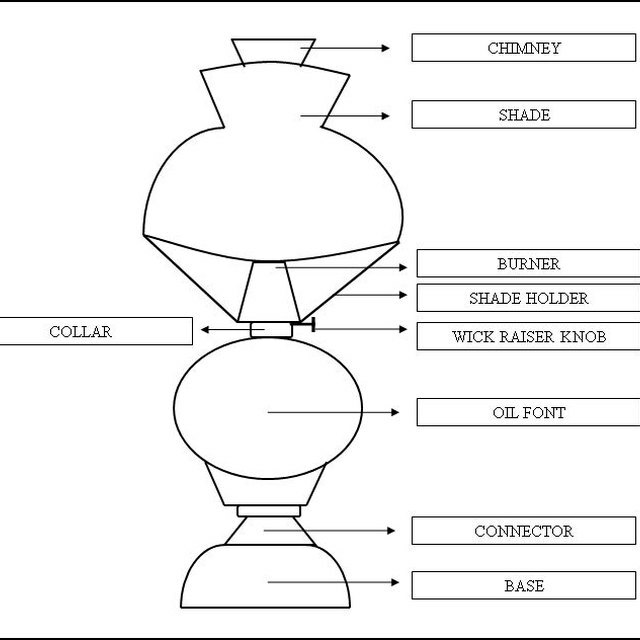 On outdoor lanterns, release the flange once the wick is lit to set the chimney over the flame. Adjust the flame by raising the wick or lowering it, as needed, by turning the control knob on the unit. If the flame turns long, slightly reddish and begins to smoke, the wick is burning too quickly and is adjusted too high. Turn the control knob to lower the wick -- you want a strong, yellow flame for a good light. Scrape off the blackened soot and ash from the last burn before you light the wick again. If the wick is slightly blackened, but not sooty or ashy, it will burn fine. Recut the wick as needed to a slight tip with 45-degree sides periodically. Replace wicks that are not long enough to sit in the oil within the base. How Does a Propane Lantern Work?